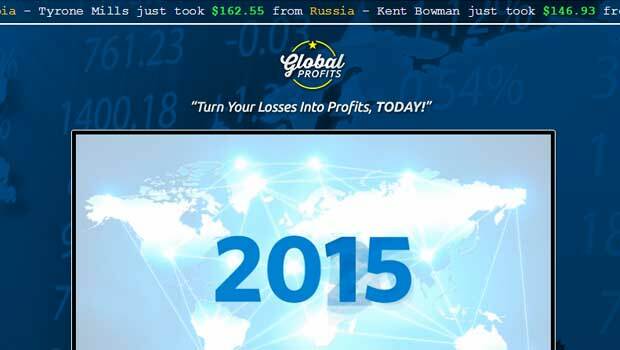 Global Profits App is a new binary options product that’s built to turn trader losses into profits immediately. They claim that with a $500 deposit their software will make nearly $3000 a day in today’s market conditions. With $250 this dips to nearly $1,400 a day but as far as I’m concerned these numbers are way too high and are consistent with the get rich quick schemes we often see in this market. 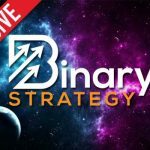 Today I will be reviewing this software so that the Binary Today readers understand whether or not this is a worthwhile investment opportunity. My original thoughts aren’t so positive. The developers of the global profits app believe that traders using their system can profit because of the greed, stupidity and mistakes of others. The narrator in the short video depicts a situation where “the very people destroying world finances will provide you and your family a phenomenal one percent life-style while the rest of the world lines up for toilet paper and canned beans.” Sounds a little too good to be true, and in this market, that usually means that it is. The claims the narrator makes in the global profits app video are backed up by quick screen shot images of account balances. The image we see is a TitanTrade account with over $70,000 in the account. Just out of curiosity I decided to go to the members area and put some fake information in and create an account. Much to my disappointment, it registered me with OptionFM. Now, I’m confused, why would the developers of this software be showing us accounts with different brokers that their software doesn’t even work with. I won’t be providing a recommendation for the global profits app at this point in time. When making investments I don’t like there to be any issues at all. This discrepancy with the results being shown for the wrong broker doesn’t make sense and it’s a red flag that I just can’t avoid. If you have something you would like to add to this review or you think that this comment is too harsh please let me know. Thanks for coming to binary today and I hope that you look around the rest of the website and find out what’s working for the readers here. Yes you are right about Titan Trade. They caught me, Mr Jim Davis from Titantrade Promises you so much, but don’t be fooled, when you deposit money, They don’t get back to u and their trading robot eats up your funds very quickly. They are no good, you can’t complain about customer service if their isn’t any. Can some please tell me how you can your 350 usd back from these sharks. I had a similar experience with these kind of affiliate scammers bac in April when I was just starting to trade. I deposited $200 with a broker called Binary book via a system called the Auto bet engine. However one of their senior brokers sabotaged my account by convincing me to place trades with her. It was a total scam and I did eventually get my money back. The secret is to make a nuisance of yourself. Write to the broker explaining that you have been the victim of an affiliate marketing scam and that if they don’t refund your money you will report them to the scam sites and the media. One thing these guys hate is adverse publicity. Also threaten legal action. It did the trick for me and they paid up. I then found Binary today and John and I am now happy to say I am gradually moving in the right direction. Hope this helps Christo and let me know how you get on. $350 is a lot of money to lose. Don’t let them get away with it my friend.